What’s bad credit? We’re talking a FICO score of 560 to 650. This is where you get shot down for almost everything except a secured card. But, there are some cards for bad credit borrowers that are worth considering. We’ll give you a quick preview of the top cards the Elite Personal Finance credit experts found now:What is Bad Credit? Everyone has their own definition for each credit status. There’s no standardized scaling system to follow. However, a bad credit rating would be considered between a 500 and 650 FICO score under the most recent FICO score variations. Now keep in mind, there is such a thing as a credit score range worse than ‘Bad’. The worst borrowers have between a 500 and 650 FICO score. This is caused by many defaults, oversized debts and closed accounts, and especially by bankruptcy, foreclosure, etc. Thankfully that’s not the case. There are many unsecured credit cards for bad credit borrowers. This is because card issuers know people run into financial situations at times, but they still want to build their credit back up. So with the right qualification requirements, the issuer can take on new cardholders; of course, the higher risk means a higher reward (more interest / fees) for the credit card provider. Without further ado, here are the top unsecured credit cards (as ranked by Elite Personal Finance) for borrowers with bad FICO scores. You can get pre-approved for a Credit One unsecured VISA credit card. If you already have bad credit, this means you won’t make it any worse by applying for this card. Because you’re qualified without a hard inquiry on your credit report. You even receive cashback rewards with this card which is a rarity when you look at cards that accept bad credit borrowers. They pay out a flat 1% on gas and groceries! Further, you can monitor your FICO score free of charge for as long as you’re a Credit One cardholder. According to their Terms, the first year has an annual fee of between $0 and $75 and each subsequent there could be as high as a $99 annual fee. You also have to pay $19 for any authorized user, which is an expense dinged annually. Say you get a $300 credit limit, well for your first year you can expect to have $225 available when you get the card. The first annual fee will be paid upfront, and then it will be charged to the card each year thereafter. On the other hand, aside from the good cashback rewards, there are also not many other big issues with this card. For instance, your APR rate will be established by your creditworthiness but you’re looking at anything in the range of 15.65% to 24.15% … many other bad score cards run around a 30% APR for all cardholders. 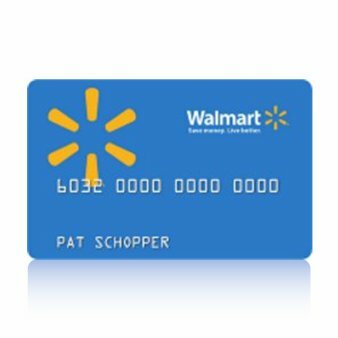 Who Should Apply for this Credit One Card? Anyone who plans to put all their regular spending on their credit card should consider the Credit One Bank Unsecured VISA. It is definitely one of the top-rated unsecured cards available for those who have poor creditworthiness. Even with a weak FICO score, you can easily get approved for Credit One’s unsecured card. With a flat 1% cash back on ALL purchases, there’s no doubt this is a no-brainer card for bad credit borrowers. Sign up for the Credit One Unsecured credit card today! The Capital One Platinum MasterCard is suitable for any bad credit borrower looking to specifically get an unsecured card. It the main alternative to Credit One’s unsecured card, but it unfortunately does not come with any cash back rewards. Yet, there are still many things that make this one of the best credit cards to get if you have a poor credit score. Why the Platinum MasterCard is GREAT! This is an unsecured credit card that regularly approves bad credit borrowers. It comes with NO annual fee, which is virtually unheard of for borrowers with horrible credit. Further, credit limit increases begin as soon as 5 month after you activate your card. Also, we brag about certain added features in the SKYPASS Secured Card because it’s one of the few traveler-friendly secured cards around. But, the Platinum MasterCard is just as effective in this category. Their card includes travel assistant services, 24/7 emergency help, auto rental damage coverage, flight insurance, reimbursement for unexpected medical expenses, travel insurance of a maximum of $500,000 per traveler, and so much more. You’re looking at a 24.99% variable APR rate. That’s the only real downfall with this card. Other than that, it’s important to note that you might get rejected if your creditworthiness is very bad. 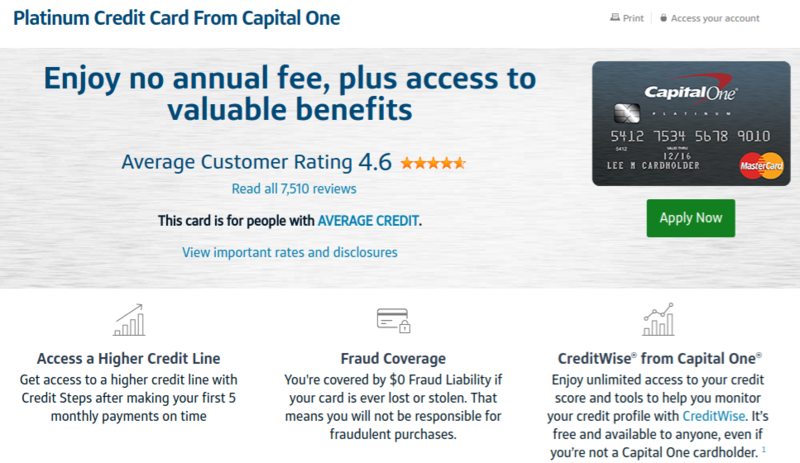 Sign up for the unsecured Capital One MasterCard today! If you just want a secured card for the purpose of building your credit, and nothing else, the best route to take is a card with no annual fee. The Capital One Secured MasterCard is a beastly secured card, backed by one of the largest credit card issuers in the industry. While it doesn’t currently graduate to an unsecured card, you do get your collateral back once you close the card. It is also easy to get approved for an unsecured Capital One credit card once you have paid off your secured card on time for a year or so. As a further bonus, this card comes without any foreign transaction fee. Now here’s the interesting thing, you sign up and give a deposit of $49, $99 or $200. It won’t earn you any interest (like some secured card do) but for bad credit borrowers the low deposit amounts are a Godsend. If your creditworthiness is shot right now, you can put $200 up and get a $200 credit limit. Meanwhile, you could qualify for up to a $3,000 credit limit. This means if your credit is somewhat okay you could put up a small collateral to get a large limit. As this is also a partially unsecured card at this point, the credit bureaus will weigh it more heavily than a traditional secured card. Therefore, the Capital One Secured MasterCard is best for anyone looking to build up their FICO score. 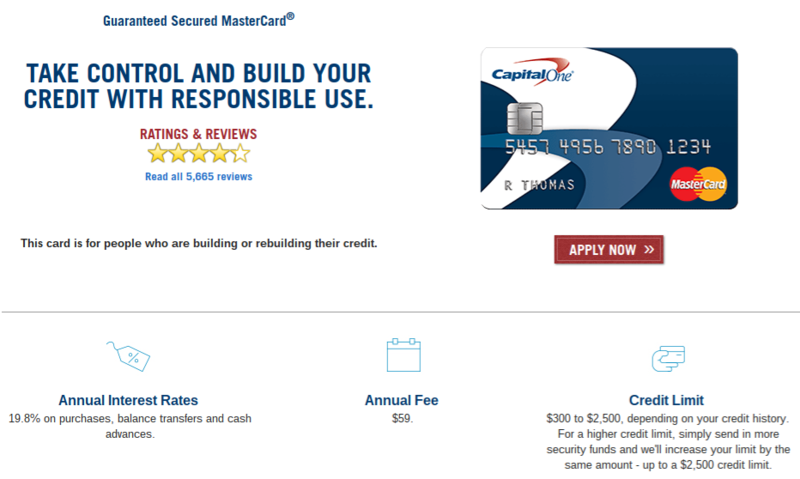 Sign up for the Capital One MasterCard now! This is a great cashback credit card, the only problem is that it’s a secured card. So you will need to put up some collateral funds to get started. By doing so you are guaranteed to get approved and the card can be used to build up your creditworthiness. In the meanwhile, you’ll also get to enjoy excellent cashback rewards. They pay out a flat 1% back on ALL purchases and you can also score 2% back on gas and eating out! They also match your cashback earnings for your whole FIRST YEAR! The best thing of all is that the card comes with no annual fee. And, the 23.24% variable APR rate isn’t all that bad. Further, you’ll enjoy free FICO score access for as long as you’re a Discover cardholder. So should you sign up for Discover’s secured card? The Discover it Secured Card is a no-brainer, so long as you’re on the hunt for a secured credit card. It does come with some issues; your debt gets reported as being on a ‘secured ‘card instead of ‘unsecured’ which holds less weight. This means your score won’t be moved up as much as it would with an unsecured card. So, if you just care about boosting your score as much as possible the best thing to do would be to get one of the unsecured cards here. Otherwise, reap the greater rewards of this secured card instead. 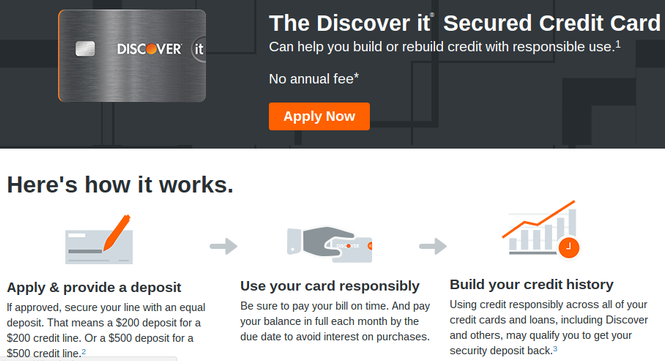 Sign up for the Discover it Secured credit card today! This is another secured card worth looking at, especially if you’re a frequent traveler. You can set it up with anywhere from a $300 to $5,000 security deposit. Most get turned away by SKYPASS’s card because of the $50 annual fee and the relatively high 16.24% APR rate. However, you do get a 5,000 mile reward the first time you use the card in a store. Then, on the card anniversary date each year you’ll get another 1,000 miles. With each mile being worth about three cents, you’re looking at $50 for your welcome bonus and $10 each year on top of that. So the card pays itself at first, and the 1% on all your purchases will add up quickly as well. Also, this is a true traveler’s card as it comes with $250,000 in traveler’s accident insurance, emergency assistance while traveling abroad, and liability protection against auto rental damage. 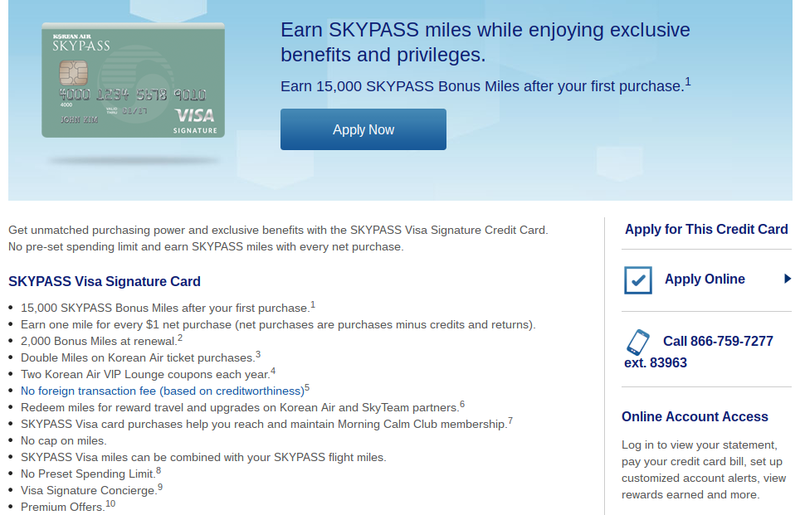 How do you redeem your SKYPASS miles? Your miles are cashed in through a participating company in the SKYPASS PARTNERS program. Through here, you can redeem your miles for various airline flights like those offered by Delta Airlines. You can also cash out for hotel stays, vehicle rentals, and more. Heck, there’s even an option to use some of your miles to cover your excess baggage costs. This credit card lets you go from secured to unsecured once you prove yourself as a worthy borrower. This is a feature that applies to all secured cards offered by US Bank. However, do keep in mind that that there’s a 2% to 3% fee on foreign transactions so you won’t really want to use this card actively while outside of the US. This makes it more appealing for frequent domestic travelers in particular. Sign up for the SKYPASS Secured VISA today! Getting a credit card with bad credit doesn’t have to be impossible. In the past, consumers would apply only to get rejected all the time. Now there is more than enough information available on the Web to figure out which credit cards you can get. However, this is new information for many bad credit borrowers. If you are one of them there are likely some questions you have still. We’ll try our best to answer them below but if you are still wondering something once you’re done reading, feel free to ask anything in the comments. 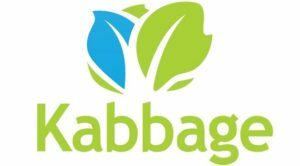 Which bad credit cards have signup bonuses? How do you upgrade from a secured to unsecured card? Not all credit cards let you go from secured to unsecured. You have to keep this in mind and decide which card to get based on this fact. If you don’t opt for a credit card that graduates from secured to unsecured, then you will eventually be carrying dead weight. At least when you can convert the card, you don’t have to close the account (note: doing so hurts your FICO score!) and you can still get your security funds back. Many cards will let you have a credit limit increase after you pay on your balance on time every single month for a set time frame. Once your limit is increased you will suddenly have part of your card unsecured because it won’t have 100% collateral anymore. What credit score is needed for an unsecured card? Well, there isn’t a specific score range your credit rating needs to fall within to get an unsecured card. There are just very few cards that don’t require a deposit, and that also report as unsecured to the credit bureaus. These are better for building your FICO score, and it’s always great not needing collateral, but they typically come with higher interest and more fees. Secured vs. Unsecured Credit Cards, What’s the Difference? A secured card and an unsecured card are fundamentally the same on many levels. Both feature APR rates (interest premiums), they often come with annual fees, balance transfer charges, and maybe even foreign transactions charges. But where the two differ is in how they affect your FICO score! It’s simple: any negative credit actions will have a bad affect on your credit score no matter what. The damage done could be immense, depending on the situation at hand. Yet, if it’s a secured card your positive borrowing behavior will have less of an impact — while anything bad can still shoot your FICO score down more. Therefore, it’s best to have an unsecured card as it holds the most weight on your credit report. They do require a higher credit score, in general, but there are still a few unsecured cards out there for those with ‘bad credit’ FICO scores. The collateral funds required to secure your credit card will depend on the requirements for the specific card. Some will decide how much collateral you need (if any) based on your creditworthiness. If this happens, it’s sometimes possible to put up less than your credit limit amount when securing the card. For instance, on this page we mentioned the Capital One Secured MasterCard which lets you put up as little as $49 for as much as a $2,000 credit limit.